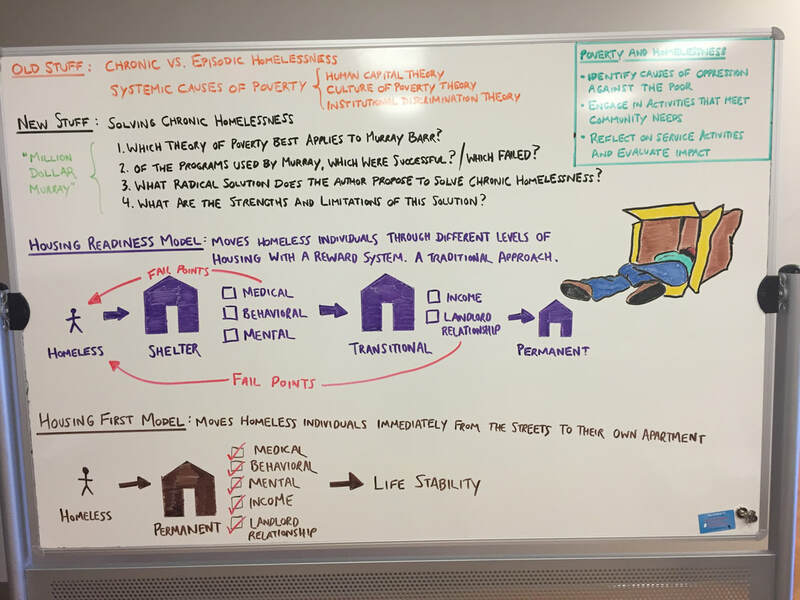 Use the answer guide below to complete the graphic organizer identifying both individual and systemic causes and solutions to the problem of chronic homelessness. Review the three most common causes of chronic homelessness that you listed in your notes. Review your notes on the housing readiness model. How might this traditional system make it difficult for a chronically homeless person to become housed? People experiencing chronic homelessness tend to be the most difficult to stably house and are, as a result, the most vulnerable people in the homeless population. Refer back to the article titled "Million Dollar Murray." According to Gladwell, why are cases of chronic homelessness so hard to solve? 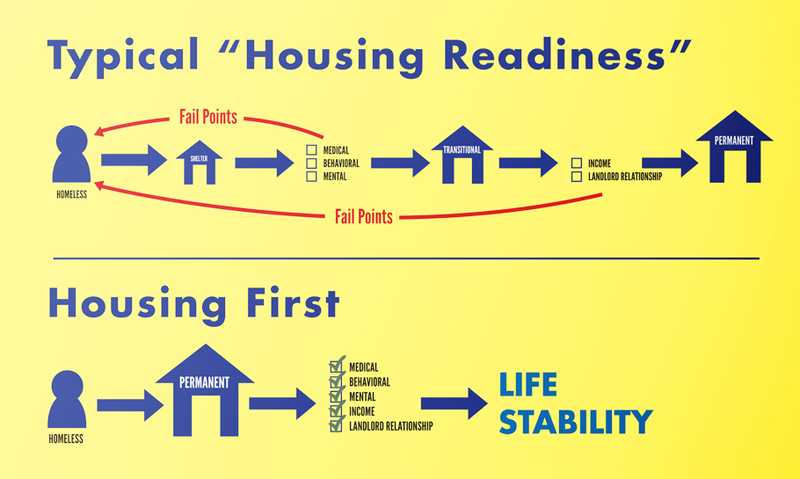 Refer back to the diagram illustrating the traditional Housing Readiness Model that was used to address chronic homelessness up until recently. Why was this reward system prone to failure? ​WHAT CAN BE DONE TO SOLVE THE PROBLEM? Review "Million Dollar Murray" and list the traditional programs/services that were in place to help Murray Barr manage his problem. Refer back to the lesson on solving chronic homelessness. 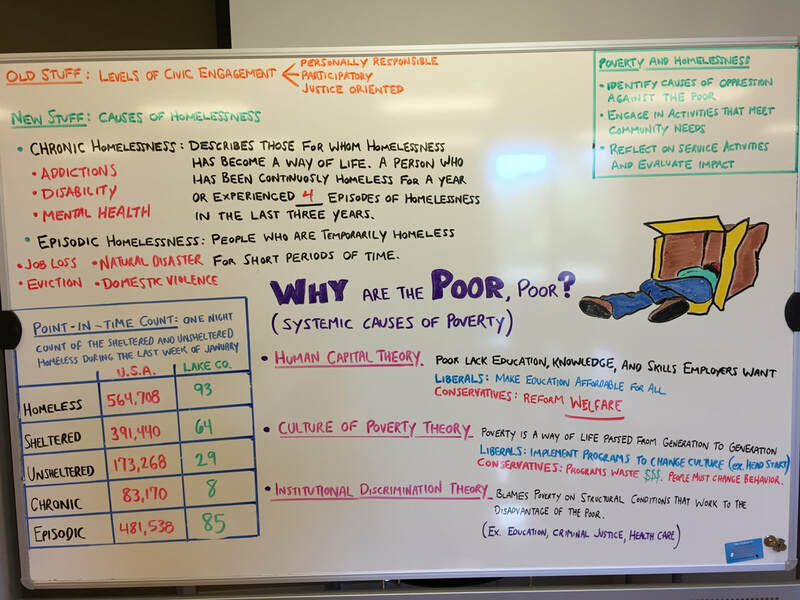 What is the name of the new systemic approach to addressing chronic homelessness? Review this article and summarize how it works. Strengths: Review "Million Dollar Murray." What did the programs and services in place to help Murray do best? Limitations: Review "Million Dollar Murray." What is the cost of managing the chronic homeless in Reno, New York, and San Diego? Strengths: Review the strengths of permanent supportive housing and list them here. How does this program save money? Limitations: Review the research and list the number of people who remain chronically homeless. What else are critics saying?